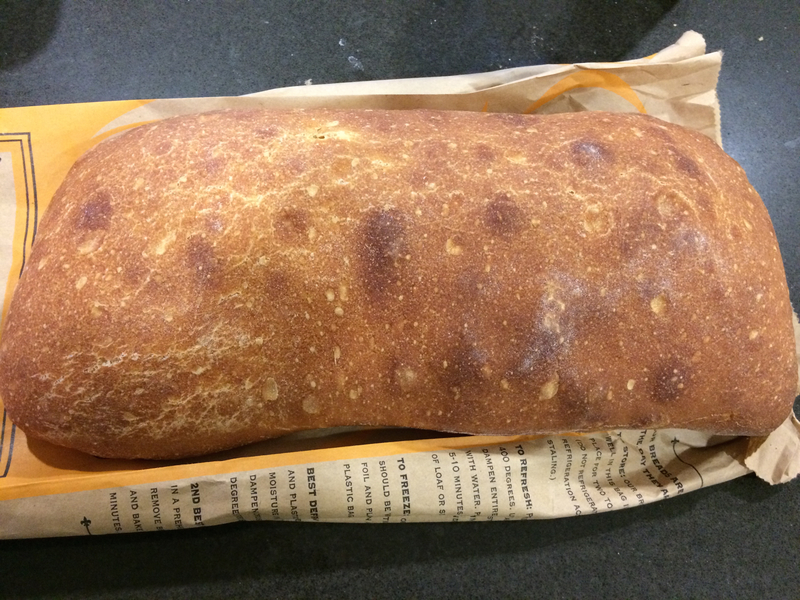 I was feeling hungry before dinner, so I made a bread run on my bike, and picked up a ciabatta loaf. My legs were pretty tired, so I only made two hill efforts, and got back home to enjoy the bread. It seems that ciabatta isn’t great after sitting for 8 hours. I also noticed it’s significantly cheaper ($3.75) than the fancier fougasse ($5.75), and it tasted like it. Anyways, that didn’t stop me from eating the whole 500g loaf in 10 minutes. I’m not worried, because I’ll need the glycogen for the long weekend rides. I’m not stuffed, and will probably eat something else with friends at a restaurant tonight. Maybe I’ll order a fruit plate. Anything I order will be low-fat, because any fat I eat at this point is going right to my adipose tissue. I ended up eating rice and vegetables for dinner, and some more tortillas afterwards.